Francisco “Pacho” Galán (1906-1988) was a Colombian musician and composer who is principally known as the creator of Merecumbé, a musical style that combines Cumbia and Colombian Merengue (the word Merecumbé is itself a combination its two parent genres). 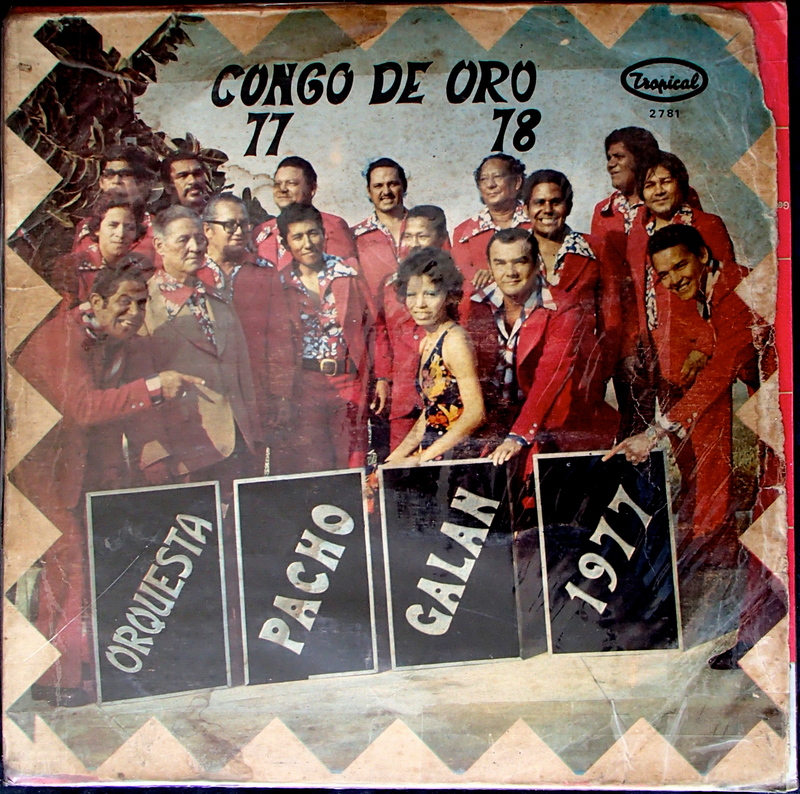 Before I go any further, let’s listen to his most famous song, from the record “Congo de Oro 77-78”. Ay cosita linda means “Ay, pretty little thing”. It’s a pretty little tune. But maybe “little” isn’t the word I should use; it is the song Pacho Galán is best known for, bringing him international recognition. It has been covered plenty of times in so many styles, including by famous American artist Nat King Cole, who sings in Spanish with an awful American accent. This recording is a little dirty from my old record. I’m sure you can find better ones if you look. “Cosita Linda” la compuse en 1954 dedicada a una muchacha que conocí en el Paseo Bolívar de Barranquilla. Traté de enamorarla, pero más nunca supe de ella. La recordaba muchísimo, por eso aquello de “soñaba que te besaba, y que en tus brazos dormía…”. I composed “Cosita Linda” in 1954, dedicated to a girl I met in the Paseo Bolívar in Barranquilla. I tried to win her heart, but I never heard from her again. I thought about her a lot, and from this came all that about “I dreamed that I kissed you, and I slept in your arms” [Lyrics from the song]. Quiero amanece’ literally means “I want to wake up.” Amanecer in Spanish is both the verb for “wake up” and the noun for “sunrise” or “dawn”. So when the singer says “quiero amanecer cantando/bailando/en la plaza toreando” that effectively means she never really wants to go to sleep. I guess in this case “amanecer” doesn’t really mean “to wake up”, it means “to experience the dawn”. This is a fairly well-known song. Atlántico – the last track on the album.